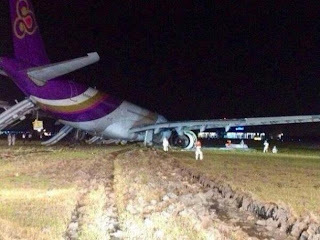 13 people were injured on Sunday night when a Thai international airline skidded off the runway of Bangkok’s Suvarnabhumi Airport. The airline left China’s Guangzhou province at 9:25 pm local time with 288 passengers and 14 crew members on board. Nothing was reported during the course of the flight. However when it touched down the runway, there was some spark at the base of its right wheel. 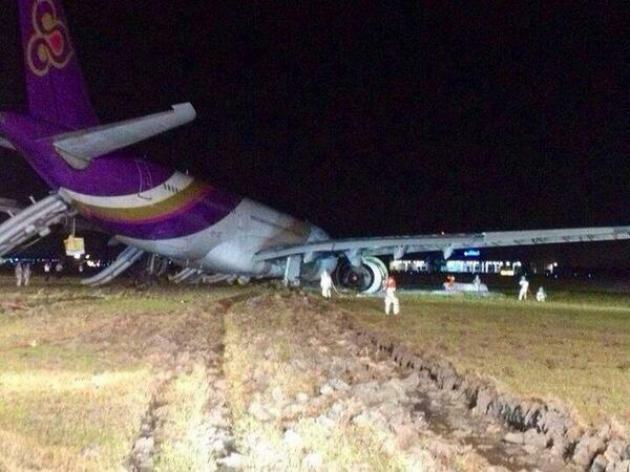 The airline is now investigating as to how its TG 679 slides off the runway.